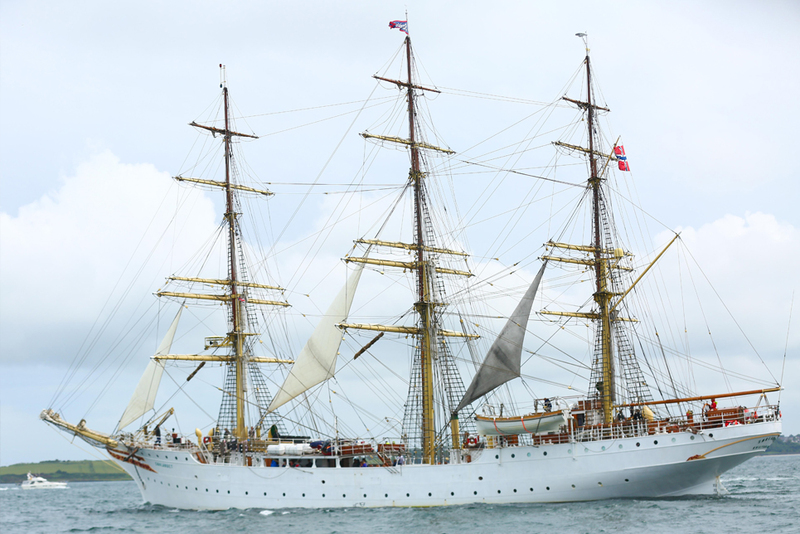 The Sail Training Ship SORLANDET is owned and administrated by a non-profit foundation. The objective of the ship’s sailing activities is to offer the general public an experience in traditional life on board a tall ship, as well as maintaining the ship by active use. 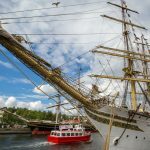 SORLANDET is open for charter cruises, participating in hired port festivals and related specialized projects as well as welcoming individual trainees to join attractive prearranged summer cruises of various lengths against a set cruise fee. People of all ages between 15 and 70 of both sexes and all nationalities are welcomed to participate as trainees. No previous sailing experience is required. Detailed instructions will be given on board. You will learn new skills, such as: being a helmsman, lookout, safety, and participating in active sail manoeuvres. 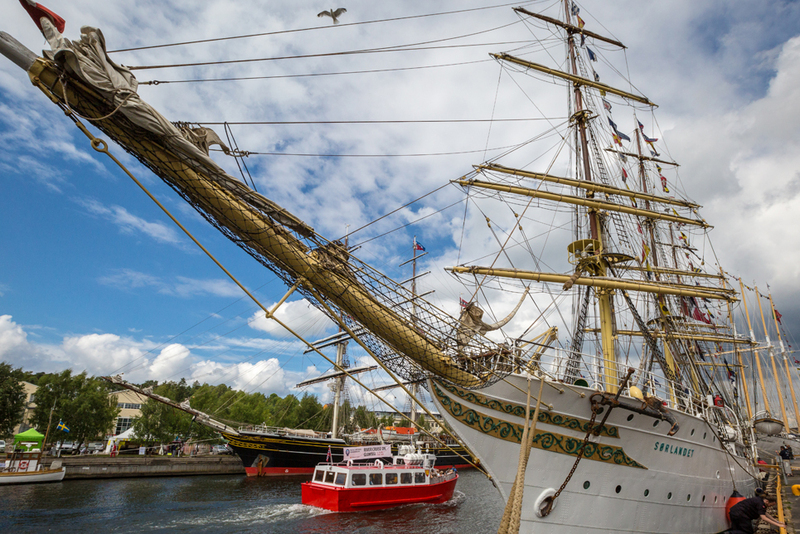 To climb the masts is voluntary but proper instructions will be given by the ship’s professional crew. 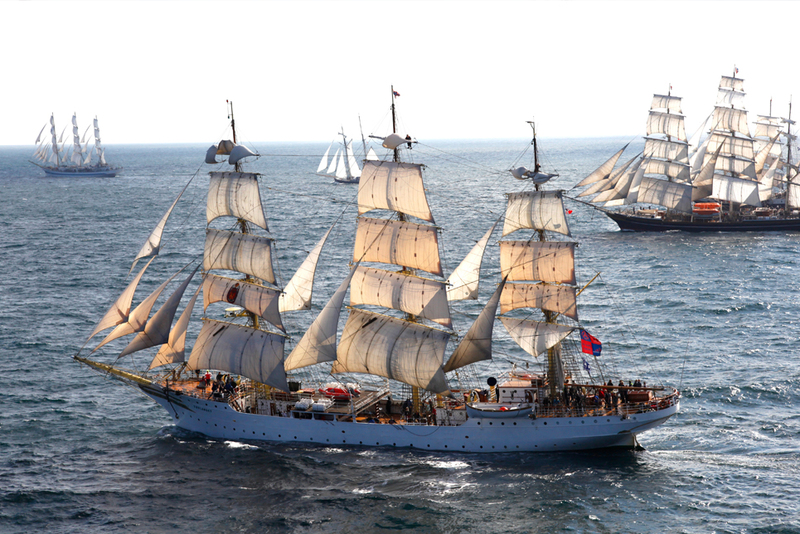 We offer the individual participant an unforgettable tall ship experience with lots of challenges. The ship’s permanent crew of 15 will do their utmost to please new and old hands. 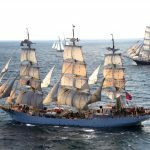 The SORLANDET was built in Kristiansand, Norway, in 1927 as a full-rigged ship for training young people for the merchant marine. As the demand for regular training of young seamen decreased in the seventies, she extended the activities to welcome the general public on board. The name SORLANDET comes from the southern region of Norway – it means the southern land. The SORLANDET keeps 1A1* class in DET NORSKE VERITAS and has all necessary certificates for world wide trade. Her capacity is 70 trainees. No serious accidents have happened during her many years of existence. The SORLANDET’s High protector is HRH Crown Princess Mette-Marit of Norway. Sorlandet is the world's oldest and most authentic fully-rigged ship still in active service. The ship was built in 1927. With us you will experience the true feeling of sailing like in the old times. You, your new shipmates and our crew will set sail together. We will show you how you can, with your bare hands and your team, move 850 tons of steel through the water. the goal is to sail to our next destination as fast as possible in the safest manner. We offer you a holiday full of activities and you will bring back unforgettable memories that can only be obtained aboard Sorlandet. We always include 2-3 extra nights while in port. Food and drinks are also included while aboard and in port. Our trainees will be divided into three watches; red, white and blue. the watches work in shifts during the voyage. our sail trainees become a part of the crew onboard the Sorlandet. everyone will receive training and guidance from our professional crew members regardless of previous experience or knowledge. it is exciting and rewarding to be in charge of the important tasks that are to be solved on board. 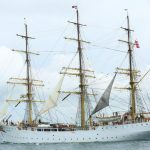 trainees get and overview and an understanding of life aboard Sorlandet- send us an email to: info@sorlandet.org and we will send you our Welcome Aboard booklet free of charge.